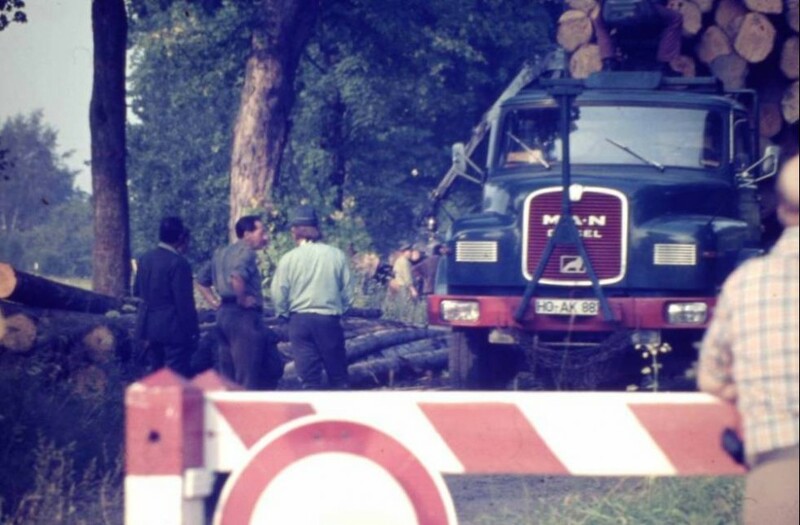 Although the border crossing in Nové Domy was closed to the public, the Czechoslovak side would sometimes use it for wood exports to West Germany. 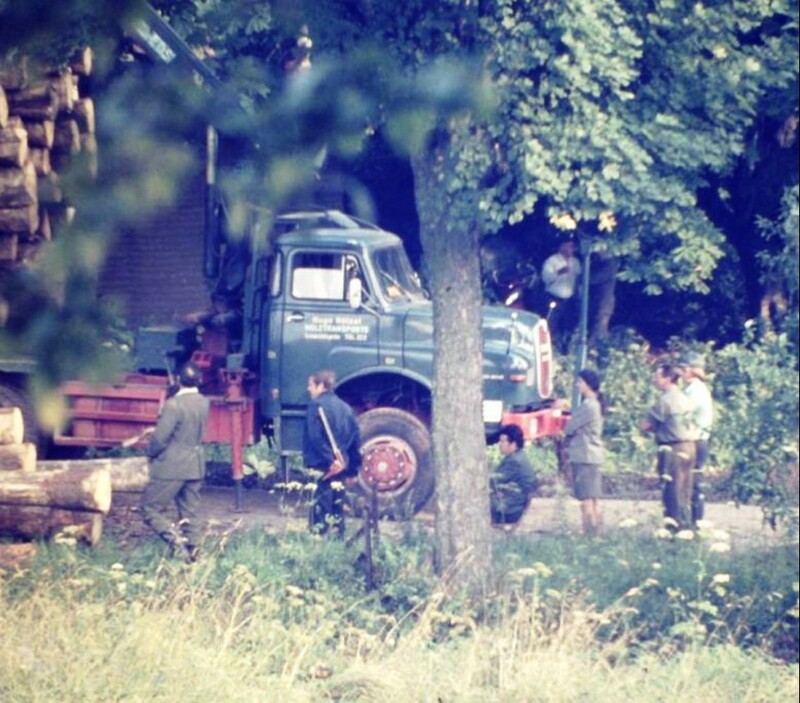 The former border guard Leopold Tuček recalls these transactions: “the foresters brought timber to the waterworks in Nové Domy where it was picked up by a German. Customs officers and border guards were present to the transaction. The timber was marked with duty stamps and numbers.” The Bavarian entrepreneur paid for the timber and took it to Germany for processing. Such meetings were also an opportunity for informal talks between the Germans and the Czechoslovaks. Probably in order to maintain good business relations, the German entrepreneur now and then invited the Czechoslovak officials and guards for a little feast. Leopold Tuček recalls that he once brought them a roasted goose and wine. Leopold Tuček was born on January 20, 1928, in the Moravian town of Lanžhot, (Landshut). His father worked as a blacksmith. In 1933, he got a job in Hrušovany nad Jevišovkou where he was in charge of a repair shop at the local train station. After the annexation of the borderlands by Nazi Germany, he returned back to Lanžhot. During the war, Leopold finished secondary school and started an apprenticeship at a local carpentry firm called Hoffer. In the years 1944-1945, he was assigned to forced labor near the town of Napajedla, (with a brief interlude in the Wiener Neustadt), and was involved in digging the trenches against the Red Army. In February 1945, he attempted to escape with a bunch of other workers but their escape plan was prematurely revealed. A month later, he finally managed to escape and spent the rest of the war hiding in his native Lanžhot. There he also experienced the heavy fighting for the liberation of the town. Influenced by the Babiňák family which was engaged in domestic and foreign resistance, he became a member of the Czechoslovak National Socialist Party in 1946. A year later, he attended the national congress of the party in Prague. The same year, he completed his apprenticeship at the Ševčík company in Valtice and supported by a recommendation of the chairman of the local national committee, he joined the national police corps (SNB). In 1949, Leopold was drafted to the army. Initially, he served in Bruntal at the 2nd artillery regiment but as a member of the SNB, he was transferred to a unit designated for the protection of the state border. In the autumn of 1949, his troop was transferred to Hazlov in the region of Aš. The local unit had to be completely replaced because its members had gotten involved in the smuggling of people to Bavaria. Between the years 1951-1952, he studied at a secondary school for border guards in Prague with the focus on the methods of the protection of the border. He received the military rank of a sergeant and became a company commander in Nový Žďár. 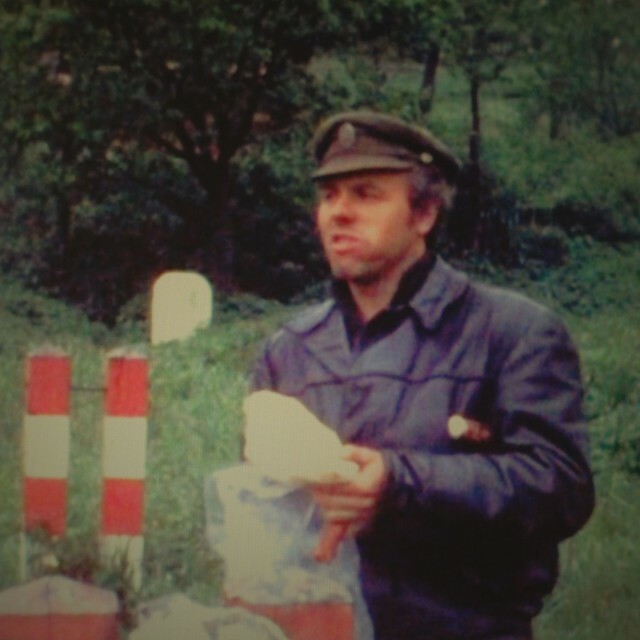 Shortly afterwards, private Bodár deserted from his company to West Germany. The runaway private and barber then described the details of his military service and even explicitly talked about his commander Leopold Tuček in Radio Free Europe. This “interest from the other side” resulted in the transfer of Tuček to service at the border with East Germany. In 1960, he joined the Communist Party. In 1968, he served in the rank of a major in the border-guard training center in Aš. When the forces of the Warsaw Pact invaded Czechoslovakia, he was in the position of the chief of staff of the 2nd battalion. Unlike the battalion commander Miroslav Tomeš, who became famous by refusing to give the Soviets water in the early days of the invasion, Tuček didn’t become engaged in the revival process and “survived” the subsequent party screenings. In the 1970s and 1980s, he participated in the establishment of the Svazarm organization in Aš. In 1985, he retired. Until 1988, he still worked as a desk officer for specific tasks in Aritma. Leopold Tuček presently still lives in Aš. Since 1954, he’s been married to his wife Věra. They have two daughters. 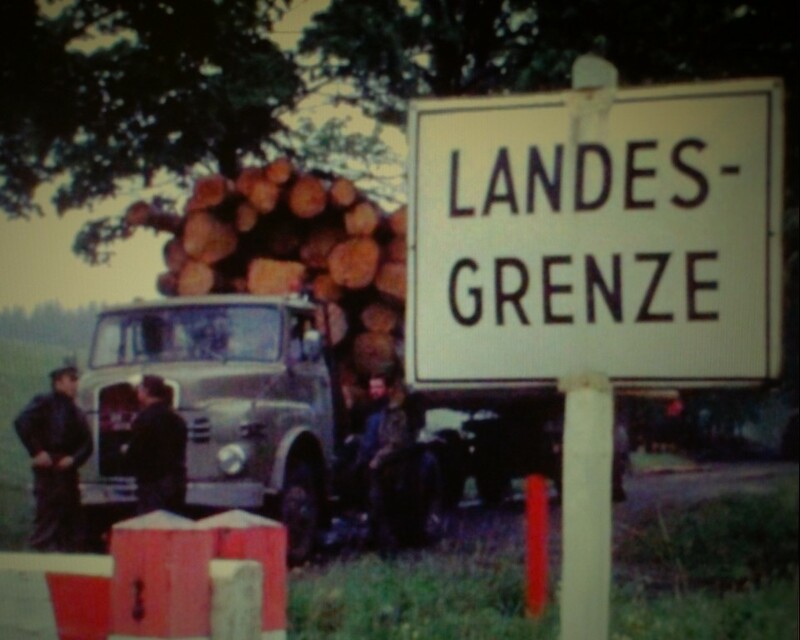 In the early 1950s a traditional thoroughfare connecting Bavaria and Bohemia was cut by the Iron Curtain. 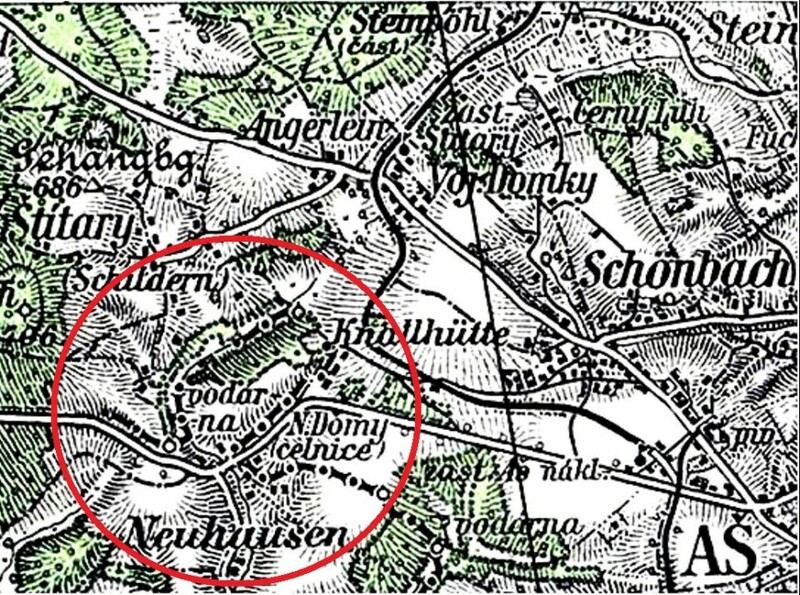 On the Czech side the village of Nové Domy, (Neuhausen), including the customs house, was destroyed. The local border crossing ceased to exist for several decades. 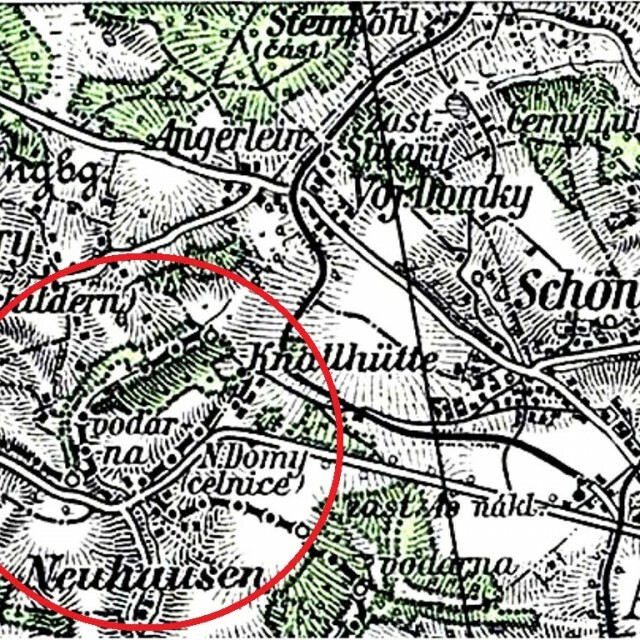 The destroyed part of Nové Domy village was adjacent to the Bavarian village of Neuhausen, which still exists. The border crossing was reopened on 1 May 2004, when the Czech Republic joined the European Union. Nowadays there is also a monument dedicated to the Czech – German brotherhood, which is called Reunion – Wiederfindung.